The brightest cordless light on the site. 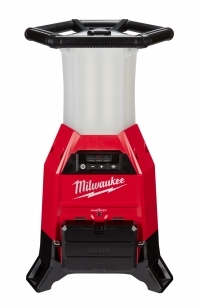 The M18™ RADIUS™ Site Light/Charger with ONE-KEY™ sets a new standard for cordless lights. Capable of running off of one or two battery packs, The RADIUS™ Site/Light Charger with ONE-KEY™ delivers full workspace coverage with 9,000 lumens for maximum 360° coverage.